One day several months ago Raritan’s Librarian Mary J. Paese had just returned from lunch when she noticed a large binder had been left on her desk. Her staff informed her that a gentlemen had stopped in and donated it to the library. Opening it she saw that the binder contained old newspapers. 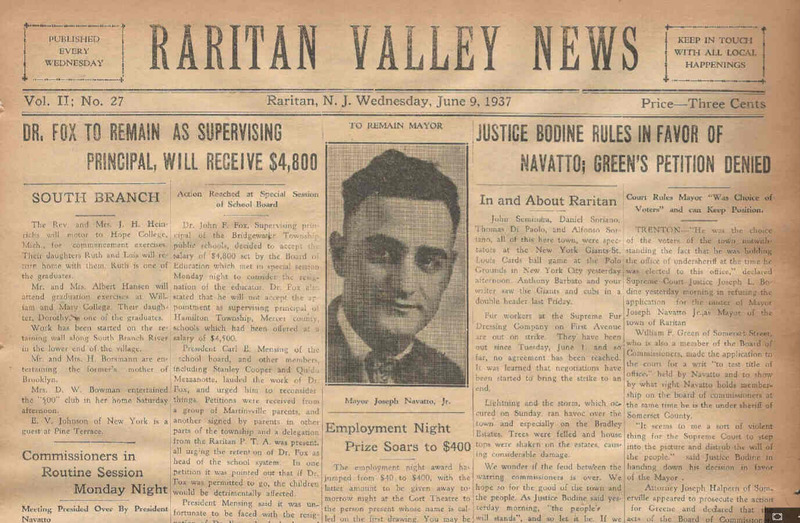 They were all from 1937 of Raritan’s onetime weekly newspaper The Raritan Valley News. A historic treasure indeed. These newspapers have since been copied and are now available at the Raritan Library for anyone to read. The first full school year for the Washington School concluded in June of 1937. (It opened in fall of 1936.) The school held grades six through eight. Being a new school they were still in need of some equipment such as a projector. In the Raritan Valley News we see that a “Doll Show” was held at the school in order to raise money to buy a projector. It was advertised that one could enter a doll for 5 cents – and winners would be chosen from many categories. The event, like most events held in Raritan, was well attended (at ten cents per person) and the school was able to purchase their projector. Flipping through the 1937 newspapers we find the scores from a bowling league that was held right in Raritan. Back then there was a bowling alley in the basement of St. Joseph’s School. This may sound a bit remarkable as today bowling alleys are in large buildings that have large parking lots. But in 1937 Raritan had four regulation sized bowling lanes squeezed into a basement. The Raritan league consisted of local residents on teams that were sponsored by a local business or church. The standings and scores show teams from Orlando’s Tavern, Petras’s Grocery Store, Schaub’s Bakery, Minetti’s Tavern, as well as teams from St. Bernard’s and St. Ann’s. The amount of coverage in the newspaper – the bowling scores were accompanied by a write-up – showed how well followed and intense (yet all in good fun) the local Bowling League was. Further looking through the old newspapers we see that a lot of baseball was played in Raritan on what was known as the Mill Diamond. That was where the post office is today. It featured games between Raritan teams. 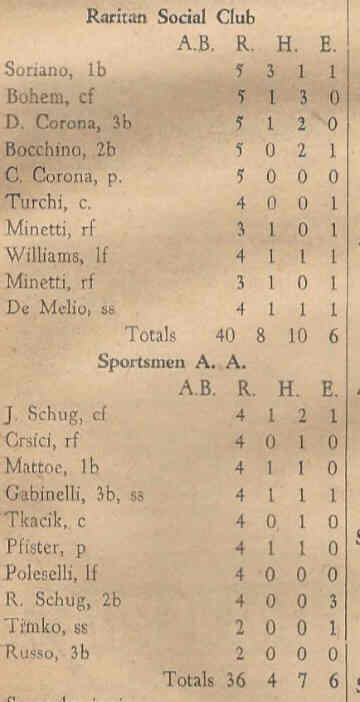 The printed box scores show many Raritan names that are still familiar today - Soriano, Minetti, Tozzi, Del Rocco, and Sian. 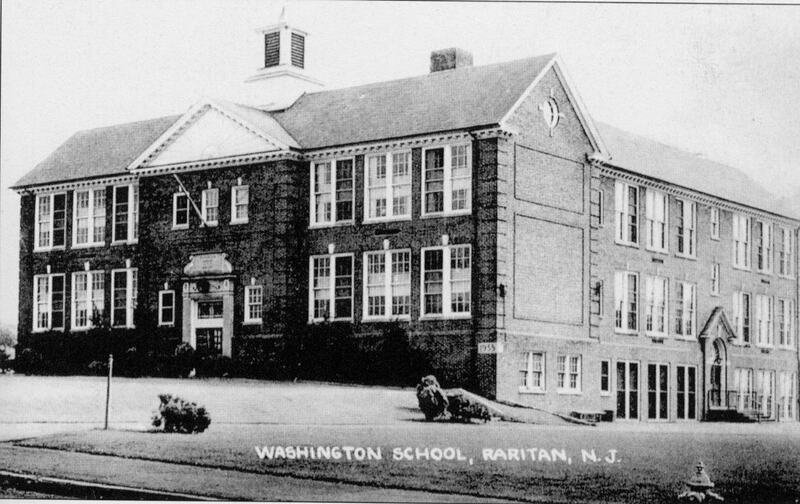 The new Washington School gave Raritan an indoor basketball court which was used for a Raritan Basketball League. Similar to the bowling league, the basketball results were written up in the Raritan Valley News and closely followed by the local residents. Another activity covered by the newspaper would seem a bit bizarre today. 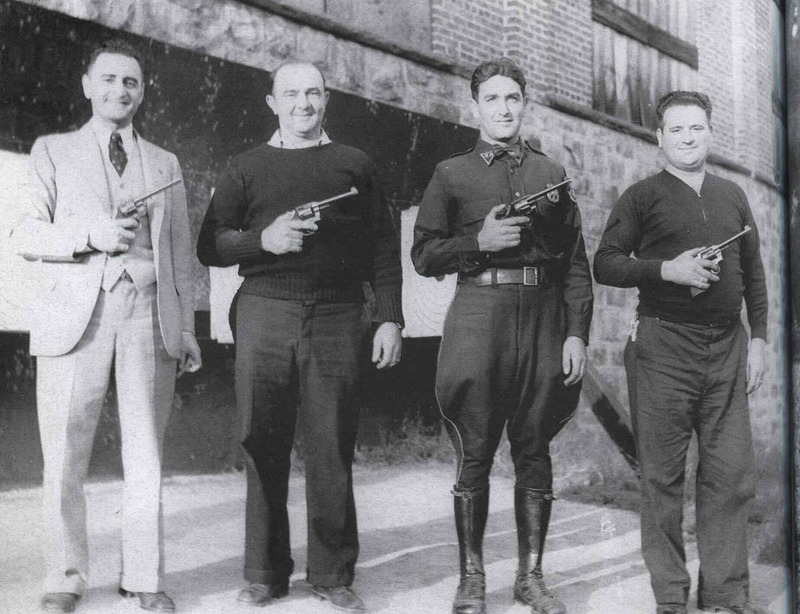 There was a Raritan pistol shooting team which was comprised mostly of the local cops - Chief Rossi, along with patrolmen Babey and Petrone. The team competed against other towns. Each town had a home shooting range. 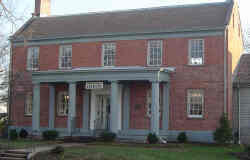 Raritan’s home range was setup where the Riverfront Apartments are today. The evolution of Raritan’s emergency services can be seen in the 1937 newspapers. For it was then that the Raritan Police Department obtained its first police car. Previously the cops rode on motorcycles. The new police car improved efficiency and initially received a lot of attention when it began patrolling. One editorial pointed to the fact that the first aid squad had been blocked from moving north on First Avenue for several minutes by a long freight train. Back then First Avenue did not go under the railroad. This editorial stressed the need for a tunnel. Years later First Avenue would be tunneled under the train tracks. One emerging concern of the era was automobile safety. Cars had just become affordable to the masses a decade before and accidents were all too common. Many articles and editorials spoke of basic safety measures such as the need for drivers to pay attention and that driving is a privilege not a right. 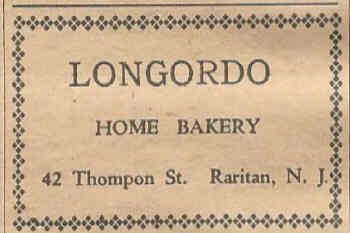 Raritan’s most popular event in 1937 was by far the St. Rocco Celebration. Father Russo of St. Ann’s directed dozens of volunteers for this special weekend. 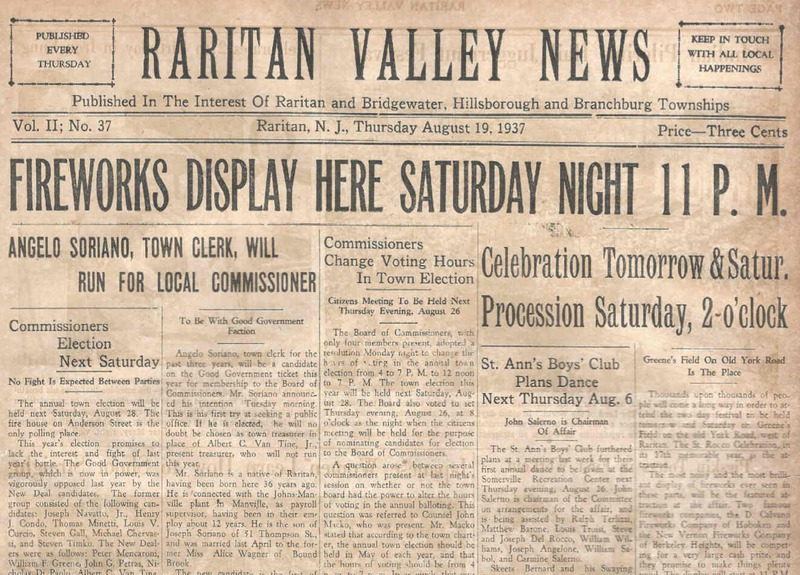 The Raritan Valley News helped build up excitement for this event as weeks in advance it reported on the front page about how this year would be the most elaborate celebration yet. The St. Rocco Celebration was a multiday celebration held on Greene’s Field (where Weiss Terrace and Meehan Avenue are today). The climax was a fireworks display that brought thousands of people from miles around. Multiple bands, some local, some from out-of-town, first played as they paraded through the streets then later played in a concert setting. 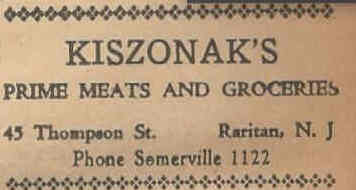 Many of the ads found in the 1937 newspapers are for longtime and still remembered Raritan Businesses such as Gaburo’s Laundry, Kiszonick’s Grocery Store, Granetz Department Store, and the Longordo Bakery. But several other ads prompt questions as to their exact location and longevity – as there are ads for a realtor, James Del Monte, and Kily’s Service Station which was somewhere on Anderson Street. 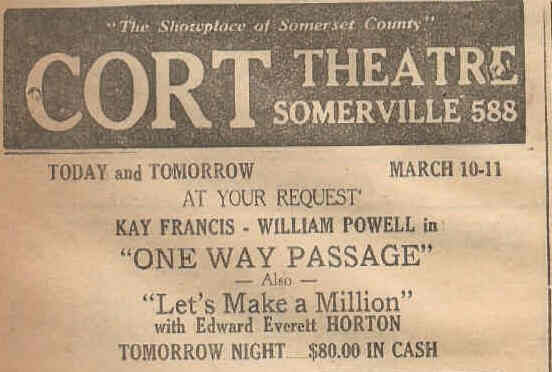 One ad that appeared each week was for The Cort Theatre in Somerville. Raritan did not have an operating movie theatre in 1937, but The Cort Theatre was within walking distance thus it was well attended by Raritan residents. In this era without television the demand for new entertainment was such that the theatre changed movies three times a week. The theatre, just 15 years old, was advertised as the “Showpiece of Somerset County” as it held nearly 1000 people and was considered extravagant for its day. 1937 was just a few years after prohibition which had ended in December of 1933. While alcohol was legal again, the authorities seemed to be over monitoring the sale of it and a few times there was an article about a Raritan Tavern owner being fined for some petty violation such as having the wrong size sign. These historical newspapers are a treasure to Raritan. They can be seen by visiting the Raritan Library. Ask for them at the circulation desk.